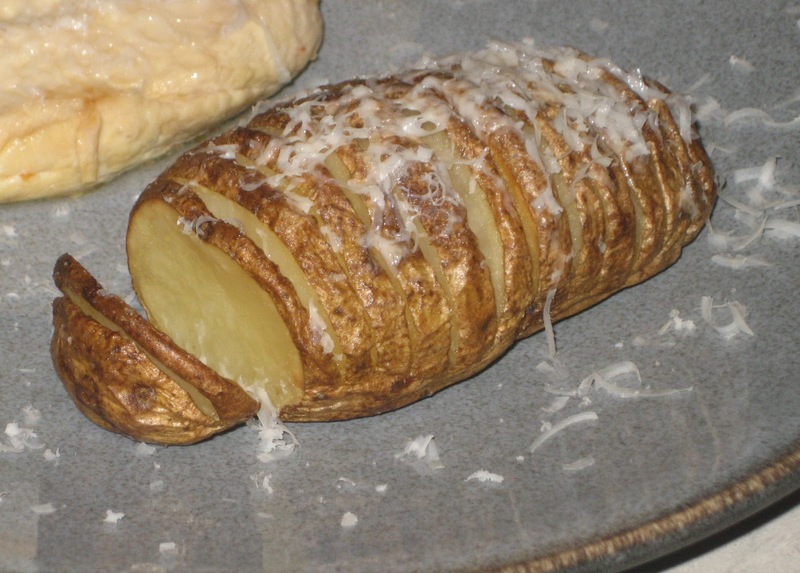 My opinion on Hasselback Potatoes is that they are simply baked potatoes made fancy. In the theme of making every meal special one dish at a time, this is a great way to change things up. Your family will experience the baked potatoes that they love in a whole new way. I started this dish with four potatoes and I ended with two that were photograph-able at the end because I was a little heavy handed with the knife. Two of the potatoes became four when I didn't stop and went through to the bottom. Oops! No worries...they were still edible, but not the best for the blog. After making these, I read that a trick to stop going all the way through the potato, put disposable chop sticks under each side of the potato. I haven't tried that yet, but it could be just the answer to stop me from doubling the amount of potatoes I'm baking. Slice potatoes (with or without chop stick trick), leaving the bottom connected. Place on a baking sheet. Slip slices of butter in between a few of the cuts in the potatoes. 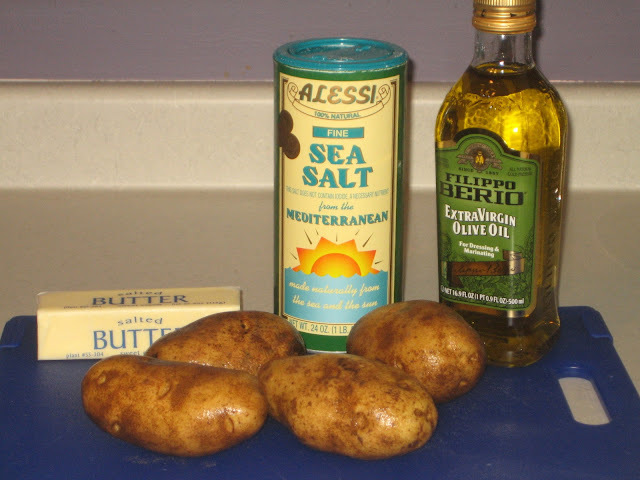 Drizzle a little olive oil the top of the open potatoes and top with sea salt. Place in the oven and top with tin foil. Bake for 40-45 minutes. Remove foil and bake for another 10-15 minutes. Top with fresh grated Parmesan cheese or side of sour cream and chives.